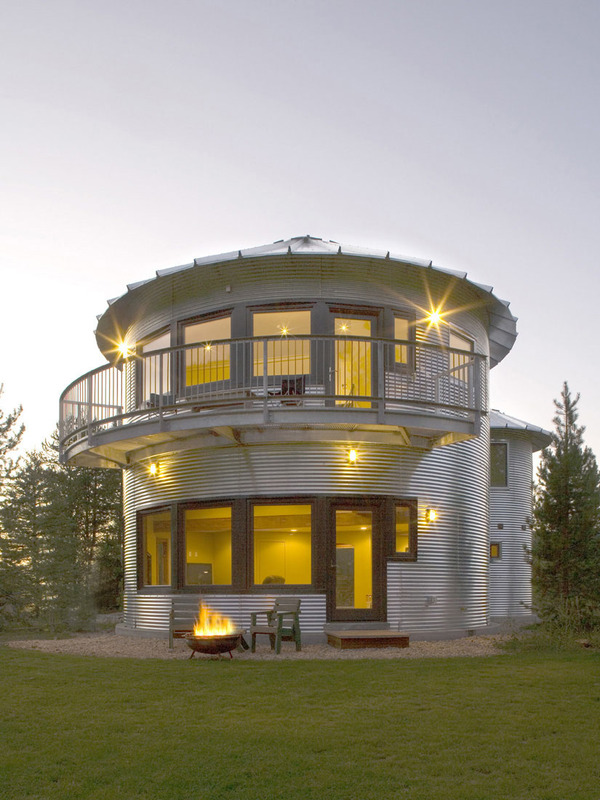 Gigaplex Architects came up with the idea of incorporating two corrugated metal grain silos to build a house for their client who wanted a very inexpensive weekend home. Located in Woodland, Utah, the house is situated by the Provo River. This cozy home includes a “Bed in a Box” concept.